Easy2Boot includes one example of a GFX Boot menu (\_ISO\docs\Templates\GFXMenu) which you can try out. You can change the GFX menu by editing the \_ISO\MyE2B.cfg file and change the set GFX=message line (the file must be in the \_ISO folder). You can now download a few examples by Laura too. If you want to design your own GFX Boot menu, I have added a download link for GFX-Boot Customizer utility by SBond here to make a GFX-BOOT.GFX file to the GFX Menu page on the E2B website. Windows To Go allows you to boot from a USB drive, but Windows 8.1 and Windows 10 will not allow you to boot from a 'flat file' installation on a Removable USB drive. You can MBR boot Win 10 from a Removable USB Flash drive if you use a VHD to contain the Windows system files however. But what about UEFI-booting? We cannot have more than one partition visible to Windows on a Removable USB drive, but for UEFI, we need a FAT32 partition which is not able to hold the large VHD file. Note that if you use an x64 version of Windows, you will only be able to UEFI-boot from it on 64-bit UEFI systems. If you have a 32-bit UEFI system, use a 32-bit version of Windows. SWITCH_E2B v1.0.6 with FlashBoot and WinToGo+.imgPTN support. .isoBF now fixed (did not work in 1.75!). Zorin 9 persistent .mnu files added. Fix for Zorin 9 in isoboot.g4b. AuroraSanta default wallpaper. 'Dustbin' wallpaper in \_ISO\e2b\grub folder if you want it! Fix bug - if user deleted some of the Windows sub-folders then the other remaining Windows sub-folders were not enumerated and so no Windows Install menu entry was present in the Main menu. As you know, most files on the E2B USB drive need to be contiguous (one exception to this is the Windows Installer ISO files). The easiest way to make all files contiguous is to click on the \MAKE_THIS_DRIVE_CONTIGUOUS.cmd batch file which runs WinContig. Tip: If you don't use the CONTIG.ISO temporary file (only used by E2B when files are non-contiguous), then just delete it. This will add an extra 500MB of free space. BUT - Do you ever find that one or two large files cannot be made contiguous by WinContig? You may find that, even though there is enough free space on the drive to make a copy of the file, WinContig (and Defraggler) cannot make the file contiguous. This is because the 'free space' is scattered all over the drive volume instead of being all in one 'chunk'. Why not customise your E2B - be inspired by Laura's (German) E2B themes! Laura recently contacted me to submit a few E2B Menu screenshots to the E2B Gallery page. Her web site is in German (although she is Spanish) and can be found at www.1910.eu. It contains loads of lovely example E2B menus (including custom CSM menus) and she has offered her help and will answer any questions you may have! I came across the HDDGURU wipemydisks disk image yesterday (wipemydisks1.1.img). This is a complete linux disk image with a bootable MBR and partition table and was designed to be written to a USB drive using dd or a disk imaging program (e.g. RMPrepUSB - File -> Disk). I wanted to try to add this to Easy2Boot and so experimented with a way of booting to it. Bugfix - When E2B switches to a .imgPTN file, it changes the Disk Signature bytes (four bytes starting at 1b8h in the MBR) to be the same as the start LBA position of the .imgPTN file. This ensures the 'new' partition arrangement also has a new disk signature. Switch_E2B.exe did not change these Disk Signature bytes. This meant that if you had a BCD inside your .imgPTN file which used the disk signature to identify the USB disk, if you switched to the .imgPTN file using Switch_E2B.exe, it would not boot to Windows due to a mismatched BCD and Disk Signature. This has now been fixed in Switch_E2B.exe. If you made a FAT32 E2B USB drive using flashboot, Switch_E2B would not recognise it. If you had a large E2B USB HDD which contained thousands of files, it could take Switch_E2B a long time (20+ seconds) to search the whole volume for all .imgPTN files. The new version only searches under the \_ISO folder by default. To search the whole drive volume, you now need to untick the 'Only search \_ISO folder' checkbox. Get Windows 10 for free! The new Windows 10 Threshold 2 release allows you to use a Win7 or Win8 Product Key to perform a clean install of Windows 10 and activate it. If you have an unused 'Retail' Windows 7 Product Key (perhaps you ordered a Win 7 Install DVD + Product Key a few years ago) then you can use the same Win 7 Product Key to install Windows 10 (on the same system). Note: This will probably not work after 2017-12-31 - see here. It was reported to me that SWITCH_E2B did not work on E2B USB flash drives that had been formatted using FlashBoot, so I have now made version 1.0.3 available for those of you that use FlashBoot with E2B. If you use FlashBoot, you can update your E2B drives and your MPI installation ( the MPI .\csm\e2b folder) with the new version of SWITCH_E2B.exe. Update: v1.0.3 only worked if the volume name was kept as 'FLASBOOT'. v1.0.4 should now work with any volume name. If you often find yourself needing to USB boot from older systems a lot (e.g. repair shop), you should check out FlashBoot! E2B drives prepared using FlashBoot should boot on a wider variety of systems, especially older systems with early (buggy) USB BIOSes that try to boot USB drives as a floppy disk or USB ZIP drive instead of as a hard disk. If a BIOS boots from a USB Flash drive as a floppy/ZIP drive instead of a hard disk, this causes grub4dos to fail to boot. If you use RMPrepUSB\RMPartUSB to format the USB drive, it adds a second small hidden partition and this often helps to avoid the 'boot as floppy' problem - but not always! If you prepare your USB Flash drive with FlashBoot, you may find that it will boot on some of these older systems that would not boot from a 'normal' E2B drive. You have to format the USB drive as FAT32 with FlashBoot (NTFS is not supported). So this limits your maximum file size to 4GB. 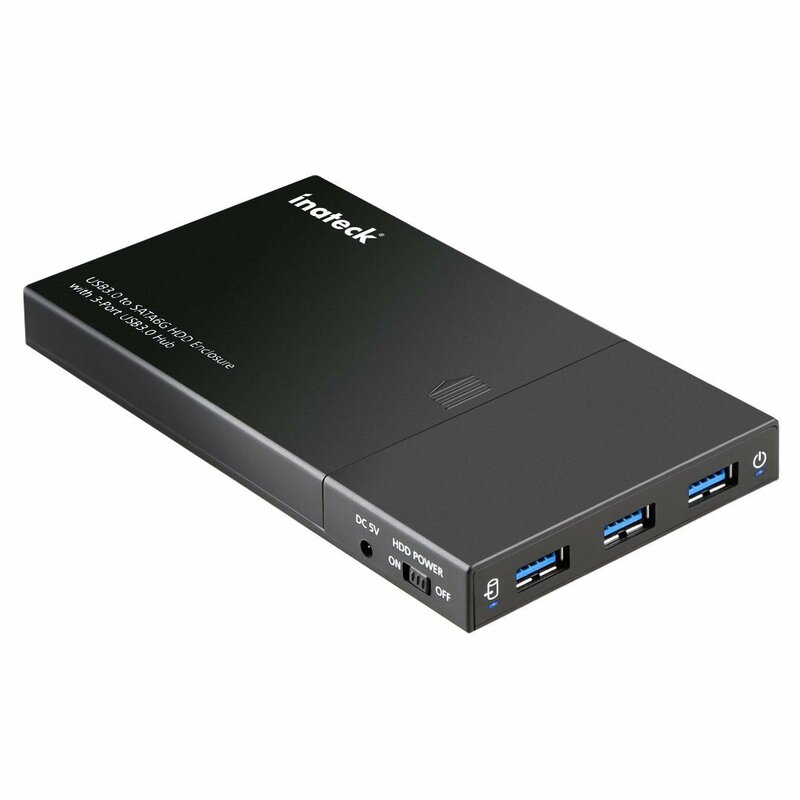 FlashBoot is not limited to creating 32GB partitions however and will work with both large USB hard disks and removable flash drives. You cannot reboot to the CSM Menu once you switch into any .imgPTN partition image. You can boot to the E2B menu, switch to a .imgPTN menu and then run the CSM Menu, however you cannot reboot to the CSM menu (a fresh boot) because the code in the MBR is specific to FlashBoot and it expects a partition to be present which contains FlashBoot boot code and not the 'normal' .imgPTN image partition that has been switched in. FlashBoot is a commercial product (25 Euros), but you can try it for free for a limited period and see if it works on your 'difficult' old systems before you buy the full version. P.S. You can also try out the Emergency Boot CD (EBCD) .ISO download too! v1.75 is also available on the two Alternate Download sites. In E2B v1.75BetaH I have added a new \_ISO\WINDOWS\SVR2016 folder for the upcoming Server 2016 release. It uses the 'Win8 install' grub4dos batch file and so allows you to specify a Product Key or XML file in the same way as for Win8 ISOs. Please test it out and feed back any comments (steve at easy2boot dot com), as I intend to make this the new v1.75 release version soon. Trouble with Windows 10 Threshold 2 ISOs and E2B? A few weeks ago I downloaded an MSDN Windows 10 Threshold 2 preview of Enterprise and found that when the blue console (LOADISO) window ran (booting from a Removable E2B USB drive and using the .ISO file), ImDisk did not mount the ISO as drive Y:. This was repeatable but only that ISO gave a problem. I reported this issue to Olof (the author of ImDisk), but a few days later when I tried to reproduce the problem I found that it worked OK and could not reproduce the problem! A few days ago, an E2B user reported to me that he had MSDN and Retail versions of the latest Win10 Threshold 2 released ISOs and had encountered the same problem with all the new ISOs (older ISOs worked OK) using E2B v1.74. I suspected that perhaps a different version of WinPE was being used in his ISOs (maybe because they were MSDN versions?) and updated ImDisk on E2B (v.1.75BetaC). However, the same user then reported that the ISOs were now magically working with E2B v1.74 when he retested them! A clear case of Deja Vu! If you find a similar issue, please comment on this blog or contact me. There is something weird going on, but I am not sure where? 0.056 is the same as 0.055 but has the new version of ImDisk. If you are using Windows 10 Threshold 2, you will need to download this and run .\ImDisk\imdiskinst.exe to install the new version of ImDisk to make the MakePartImage scripts work again. Olof has released a new version of ImDisk. I will update the MPI Tool Kit in a day or so. Meanwhile you can install the new ImDisk and then check that MPI works on the new 'Threshold 2' version of Windows 10. MakePartImage problems with Windows 10? If you are using Windows 10 and now suddenly find that you get an error when running MakePartImage (MPI) and cannot create .imgPTN files any more, it is probably because Windows Update has updated you to the latest version of Windows 10! The original Win10 version is 10240, but the new (large) update called Threshold 2 is Version 1511 Build 10586. You can check your version by using the [Windows+R] key chord and run WinVer.exe. You can update to the new version or download an ISO from here. Microsoft will soon enable the auto-update to Threshold 2 on all systems. Olof is working on a new version of ImDisk to fix this issue and I will release a new version of the MPI Tool Kit when the new ImDisk becomes available. Update: New ImDisk version for Win10 1511 from Olof here. For info on the two new file extensions, see this page. The main change is that if you have converted a Windows Install ISO to a .imgPTN file, you can now add these to the \_ISO\WINDOWS\xxxx folders and they will be listed in the appropriate Windows sub-menu alongside any ISOs you may also have present. You do not need to have any Windows Install .ISO files present if you don't use them. The only exception is that XP Install .imgPTN files are not supported and so should not be added to the \_ISO\WINDOWS\XP folder (they will not be listed in the Windows Install menu). If you have any XP Install .imgPTN files, you should add them to a 'normal' menu folder - e.g. \_ISO\MAINMENU or \_ISO\WIN. You can use a .txt file for .imgPTN menu entries in these folder in the same way as you can for normal folders. The Win-UFO download is a single .exe file which asks you which location to install to when you first run it. Actually it does NOT install anything to Windows, it merely extracts files to the designated location. There is a PDF manual file to download and which I suggest you study first before using Win-UFO and some YouTube videos. Win-UFO is now associated with CAINE. It seems I made a typo in the grub4dos batch file \_ISO\e2b\grub\DPMS\DPMS2.g4b in E2B v1.73 which means that when you try to install from an XP ISO, you will get a 'cannot copy firadisk.cmd' error reported at the start of the file-copy phase in text-mode Setup and need to 'Skip' the file. This is fixed in v1.74. Thanks to watsupson for reporting it! Windows Defender is deleting SWITCH_E2B.exe! BEWARE: The latest definitions update for Windows Defender seems to think SWITCH_E2B.exe is a malicious file and promptly deletes it! VirusTotal does not find any problems with it and, of course, it is not malicious! You may find that this file has suddenly disappeared, now you know why! Thanks to Steven L for pointing this out! Kaspersky have recovered the full list of over 14,000 encryption keys used by the criminals responsible for CoinVault and Bitcryptor ransomware. They have now updated their decryptor utility to include all of these keys. This means that if a system has been encrypted and held to ransom using this type of encryption, you should now be able to decrypt your drive! The 'How-to' guide is here. However, it apparently does not work against CryptoWall 3.0 ransomware. 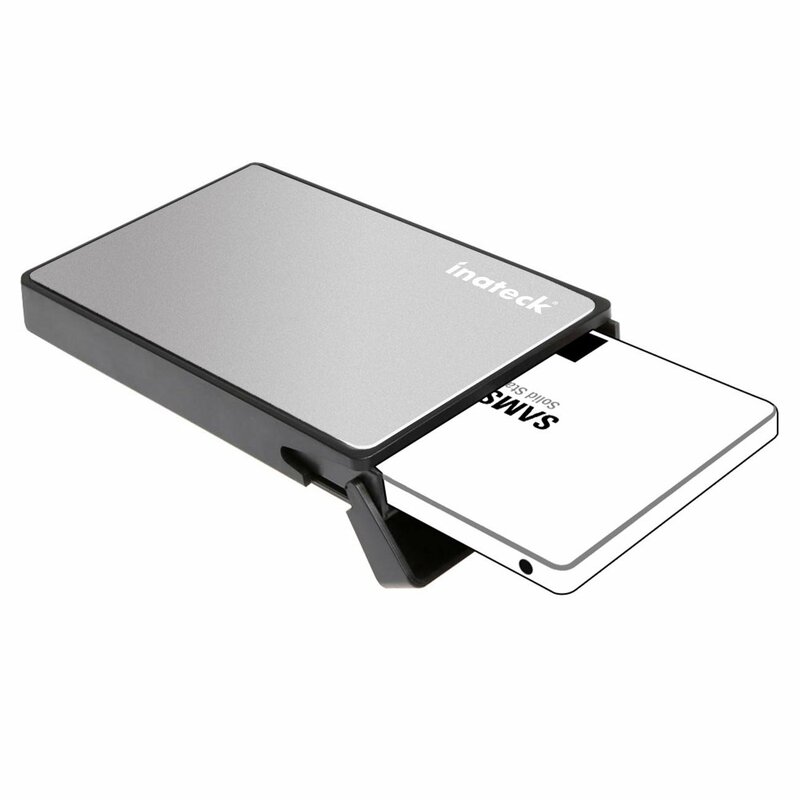 Inateck FE2007 - is this the ideal Hard Disk USB 3.0 drive caddy for your Easy2Boot USB drive? After some email correspondence from Inateck, they sent me the FE2007 for evaluation. The UberStudent ISO, uberstudent-4.1-xfce-64bit.iso does not seem to boot just as an .ISO file. If you have a removable E2B USB drive, it will boot OK if you use the .ISOPE01 file extension (you can also use a fixed-disk E2B USB drive + an E2B WinHelper USB drive). However, if you convert the ISO file to a FAT32 .imgPTN file it boots OK from both fixed and removable types of USB drive and you can install from it too. v1.73 is now on the two Alternate Download Areas. I will update the MPI Tool Pack with the new Switch_E2B.exe and also update the downloads on the main www.easy2boot.com website in a few days. I have changed SWITCH_E2B.exe to version 1.0.0 and added a Help button (no change in functionality). Please let me know if you spot a problem! Beta G has the new \grldr grub4dos 0.4.6a version which fixes the previous issue #84 bug that was in E2B v1.73 Beta E. non-ANSI characters should now appear correctly (e.g. ú or é). full v1.73 Beta version history here. The sample .mnu file Antix_13.2_Persistent.mnu shows you how to set up root or home persistence, but not both. v1.73 Beta E is now considered a 'Release Candidate' RC version. For a full history of v1.73 Betas, see the previous blog post here. Unless any bugs are found, this will be the v1.73 full release version in a few days. Please, let me know if you find any problems (steve at easy2boot dot com). I will also upload a new version of the MPI Tool Kit which has Switch_E2B added. Fabien reported a bug he noticed with french accented (i.e. UTF-8) characters in v1.73BetaE (displays a space or graphics character before each non-ANSI character) - it turns out to be a bug in the new grub4dos 0.4.6a version. v1.73BetaF uses the previous grub4dos version (\grldr). This bug is noticeable if you set a language in your MyE2B.cfg file, but you don't see the problem if you use the 'Change language' .mnu file! If E2B backup sector 30 was invalid and sector 60 was invalid and the file MBR.BIN contained invalid contents, then use LBA1 if it has valid contents. However, if you accidentally clicked on the 'Restore E2B partitions' button and had a grub4dos drive selected which was not an E2B USB drive, it would restore LBA1 automatically. This is usually OK as long as you did not re-partition the drive since the time that you installed grub4dos to the MBR on that drive. If however, you did install grub4dos onto the drive and then re-partitioned the drive, the LBA1 grub4dos backup would no longer be valid and Switch_E2B would write the old MBR sector to the MBR, thus losing your new partitions! Thanks to DevaDev for reporting this when he tried it on a non-E2B USB drive! Fix XP 32-bit IDE driver problem for HP TX1320es (in DPMS version only - see FAQ 'ERROR: CANNOT FIND /IDECOI4IN.DLL' for details). English F1 Help menu improved. Make_e2B_USB_DRIVE.cmd default now NTFS, and UEFI tip added. More Win10 generic Product keys added (old Enterprise key was Eval key not release key). Swedish language added (thanks to DavidS). Dutch language added (thanks to JeroenM). Arabic option added to Make_e2B_USB_DRIVE.cmd (only the menus are in Arabic, text prompts are not translated). Change to .imgPTN partition switching - If file extension=".imgPTN" and ptn#2=hidden type 21hex then it will not be removed when switching partitions to CSM menu. This is to enhance bootability with some BIOSes (use any other extension if you don't want this action - e.g. .imgPTNa or .imgPTNauto) - same action for SWITCH_E2B.exe. Fix XP install DPMS error message 'DRIVERPACK.INI: ERROR: Could not copy FIRA/firadisk.sys' when using grub4dos 0.4.6a (not seen if using grub4dos 0.4.5a). New token string in STRINGS.TXT for Utilities menu - $$STRmmbp=Measure BIOS USB Performance. For most languages this will still appear in English until the language files are updated. New ImDisk version (ISO installs - old version did not work with later Win10 versions) - e.g. Win10 Enterprise en_windows_10_enterprise_10565_x64_dvd.iso did not mount ISO as Y: (note: build 10565 appears to have a bug in that it does not 'see' the ISO mounted on Y:). Fix small bug in Make_E2B_USB_Drive.cmd so can select Swedish, Dutch or Arabic! SWITCH_E2B almost ready for release! Thanks to testing and feedback from some early Beta testers, I think SWITCH_E2B is almost ready for release. The latest version is available (not password protected) in the Other Files folder on the Alternate Downloads sites as usual. I will add the new version into the next release of E2B and the MPI Tool Pack soon (depending on feedback). Please test with as many different .imgPTN files as you can. Any comments, bug reports, please let me know at steve (at) easy2boot dot com. The latest Beta version is now available. It should work under WinPE, and even from a RAM Drive now. Details about the utility can be found here. Once released, it will be included in the next version of E2B and the MPI Tool Pack downloads. v 0.1.30 is a self-extracting, auto-run exe which extracts the two files to a temporary file before running it. This solves a problem concerning running it from the USB drive when in CSM mode. v 0.1.32 - bugfix for WinPE. A warning is given, but you can continue to use it. v 0.1.35 - bugfix for restoring LBA30/60. v 0.1.37 - includes msvbvm60.dll in SE exe (will run under vanilla x86 PE now), mousepointer hourglass displayed during switch. v 0.1.39 - small changes to drive list, etc. v 0.1.41 - cosmetic changes to layout, icon, etc. horizontal scroll bar for file list box implemented. v 0.1.45 - keep same partition in drive list box after switching, improve Admin rights test. v 0.1.47 - reduce delay from 3 sec to 2 sec after switch. If extension is .imgPTN and dummy Type 21hex partition at table entry #2 then entry #2 is not deleted when switching to CSM mode. This is because some BIOSes will not MBR-boot from a USB drive if they only see one partition. If you don't want the 2nd partition in CSM mode, use .imgPTNa file extension (or any .imgPTN* extension except .imgPTN). v 0.1.48 - bug-fix - if spaces in temporary path then get FileExtents fails. v 0.1.49 - show form before searching for files, reset horiz tab when changing drive. v0.1.55 - use LBA1 grub4dos backup sector if LBA30/60/MBR.BIN all corrupt. v0.1.58 - removed LBA1 recovery as could restore an old, outdated partition table! v1.0.0 - Added Help button. Please let me know if any problems (steve (at) easy2boot dot com). I am now at the Beta stage of testing the Switch_E2B.exe 32-bit Windows application. The idea is that this App will be added to the E2B and MPI Tool Pack so that the application is always on your E2B USB drive (whether the USB drive is in 'E2B mode' or 'CSM mode') and ready for you to run under Windows. I have added a new .mnu file to the Alternative Download Area for Betsy LMDE. The file is called lmde-2-201503-mate-32bit_Persistent.mnu in the MNU folder. Because it is based on Debian, you will need to create an ext2 file with a volume name of 'persistence' (not casper-rw) and then create the persistence.conf file - instructions are in the .mnu file. See previous blog for more details about making a persistence file here. You can 'build' your own bootable FreeDos USB drive using RMPrepUSB, add any files you like, get it all working, and then use the MPI_FAT32 tool to make a .imgPTN file from USB stick. However, some ready-made USB image files containing FreeDOS can be downloaded from here. Here are the steps to add a full install of Arch Linux to an Easy2Boot USB drive. We will create an empty partition file (ARCH) and then use Virtual Box + DavidB's VMUB to install to the partition file. Use the latest MPI Tool Pack (v.0.054 2015-08-21 or later). This includes CSM menu support for grub2/syslinux installations on the 3rd partition. I used archlinux-2015.09.01-dual.iso for the test below. I have updated the ProxMox instructions in a previous blog because the instructions only appear to work from a FAT32 USB drive. To add ProxMox to an NTFS E2B USB drive, we need to create a FAT32 .imgPTN file. The ammended blog post is here. How to stop scam phone calls! Nearly every day this week, at around 1pm, I get a call from a 'TalkTalk ISP help desk' scammer who says that I have a problem with my computer and she asks me to install and run TeamViewer so they can take over my computer and 'fix' the problem. They promised me £200 compensation too! I know this is a common scam - see here and here. I also get calls from the 'Microsoft Windows department' for the same 'problem'. 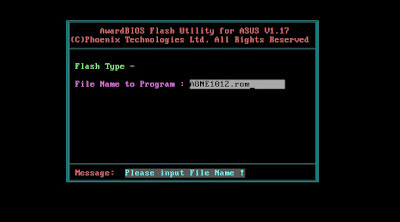 Some older BIOS update programs such as AWDFLASH.exe are DOS-based and you need to boot to MS-DOS or FreeDOS to run them. How can we do this from E2B? New plain background! Smaller file size and loads faster too! Want to learn some neat tricks on how to gain full Admin access to a Windows system and be able to work with full user rights? Watch Win 8.1 TechEd video. 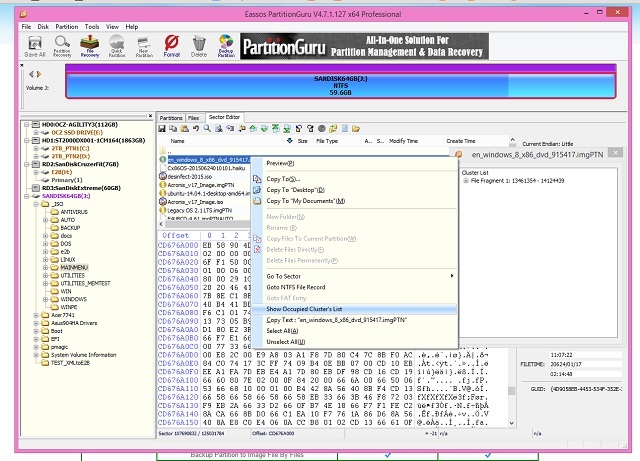 Use Intel vPro for remote control. Boot from a Win8.1 Install DVD to hack repair a system by replacing \Windows\System32\sethc.exe. There is also a Windows 10 Black Belt session. You can download the latest Debian Live ISOs from here. I used debian-live-8.1.0-amd64-mate-desktop.iso and added persistence by using a .mnu file. The new .mnu file will be added to the E2B v1.72 Sample mnu files folder , but can be downloaded from the Alternate Download (Google Drive and One Drive) areas (look under 'mnu files'). The .mnu file should work for most Debian Live ISOs if you change the name of the ISO inside the .mnu file (occurs twice). I found the instructions on ghacks.net today. Note: In later versions of Win10, these instructions are not required. Just install a fresh copy of Win10 and enter the original Win7/8 product key and it should activate! You can also just boot from a USB drive to WindowsToGo and pre-activate any system for Windows 10 - see here. I have not tried it but it looks useful! Quote from ghacks.net shown below in case it disappears. Tip: Before you run this operation, make sure to backup the existing Windows installation so that you can restore it should things go wrong. Here is what you need to do to clean install Windows 10 on a computer system, without needing to run the Win10 Upgrade first and then wipe and re-install. You need a Windows 10 DVD or ISO image. If you don't have one get it from here. Download the tool from Microsoft's website to create the ISO image. Make sure you pick the right architecture and version. Burn the ISO, mount it or extract it. Navigate to the folder \Windows\x64\sources or \Windows\x32\sources and drag&drop the file gatherosstate.exe to the desktop. Run the file from the Desktop. It creates GenuineTicket.xml on the desktop. This file is needed, so copy it to a USB drive or other location. Run a clean install of Windows 10 afterwards on the system using the ISO. Make sure you skip the product key. Once you are done and in Windows 10, copy the file GenuineTicket.xml to C:\ProgramData\Microsoft\Windows\ClipSVC\GenuineTicket. The folder is hidden by default. If you cannot see it, select File > Options > View > Show hidden files, folders and drives in File Explorer. The next time you boot into Windows 10 it should be fully activated. You can verify that easily with a tap on Windows-Pause. This opens the System Control panel and the system's activation status at the bottom of the page. Tip: Copy the gatherosstate.exe file to your E2B USB drive and add these instructions into a .txt file on the E2B USB drive. Then you can use this process on any Win7/8 system. This version checks the version of bootmgr when you boot from a VHD file to check it is not the Windows 10 version + a new grldr grub4dos version. It also has a new E2B default background wallpaper which should load a lot faster than the old one. Let me know if you like it by ticking the 'funny' reactions checkbox, as it is rather different from previous E2B wallpapers (or tick 'Interesting' if you prefer the old wallpaper)! I have just found that the Windows 10 version of bootmgr is incompatible with NTBOOT for directly booting VHD files in Easy2Boot. I have posted the problem on reboot.pro here. If you have used a Windows 10 system to make an Easy2Boot USB drive, you may find that the version of bootmgr will give a BSOD 0xc00000bb error if you try to directly boot from a VHD. To fix this, replace the version of bootmgr in the folder \_ISO\e2b\grub\DPMS\NTBOOT.MOD with an older version. 1. bootmgr 10-07-2015 395268 CRC32=45B6D6D7 - WINDOWS 10 version INCOMPATIBLE! I just noticed that the WAFG site now has a Windows 10 page, so you can generate your own Windows 10 Unattend.xml answer files (and then use XMLtoE2B.exe to convert them for use with E2B). 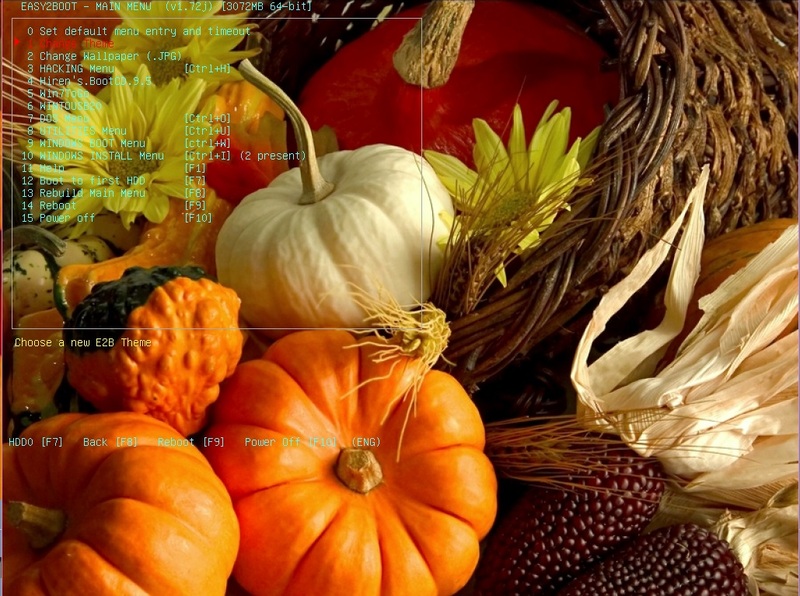 Don't forget to say thanks by donating to the WAFG site if you find it useful! You can define global hotkeys to do various things by adding hotkey commands to the \_ISO\MyE2B.cfg file. Some examples are given in the \_ISO\Sample_MyE2B.cfg file. Do you have a favourite ISO file that you always like to boot to in Easy2Boot? Why not set up a global hotkey for it so you can boot to it from any E2B menu? What about booting Hirens or WindowsToGo or WinPE, using a hotkey from any menu? Why you should always check for download file corruption! It is not uncommon to download a large file only to find that it is corrupt. Sometimes the problem is immediately obvious, but sometimes it can leave you scratching your head for hours, before you finally realise that your source file was corrupt! It is also not uncommon to find that when a large file is copied to a USB drive, the copy did not work correctly and leaves you with a corrupt file. 'Fake' USB drives can also cause this type of symptom. Downloading a Zip/7Zip/Rar compressed file is usually safe because when you unzip it, you will be warned if it is corrupt, but if you download a .ISO file you should always double-check it! For instance, I have found file corruption in a large \sources\install.wim caused a problem with Windows failing to boot after a fresh install, but Setup did not complain that the install.wim was corrupt! Due to a weird issue with one of the files on my system, whenever I used the MPI Tool Kit to convert the BitDefender Rescue CD ISO to a .imgPTN file, it always worked (for me!). However, as no one else would have this 'undeletable' file on their system, it turns out that converting a BitDefender ISO (and probably many other grub2 ISOs) to a .imgPTN file probably did not work for anyone else! I compared a working .imgPTN file with a non-working one and the problem turned out to be due to the \boot\grub\i386-pc\command.lst file being a binary file (despite having a .lst file extension! ), but it was getting corrupted by MPI because it was processed as a text file! MPI changes some strings (e.g. UUID and volume label, etc.) in some text files, using ssed.exe (a version of sed) . To fix the problem, I needed to find out if each *.lst file was a text file or a binary file and ignore any binary files. This proved to be quite tricky as Windows does not seem to have a way to detect if a file is a binary file or not (that I could find). In the end, I used ssed.exe to find and replace any 00 hex bytes in the file with the characters "ZZXXZZ" and then used the Windows find.exe utility to see if any substitution had taken place. Not elegant, but it works! If you are having trouble getting BitDefender or other grub2 ISOs to work as .imgPTN files, please download the MPI Tool Kit v 0.054 and then run the CreateDesktopShortcuts.cmd script to update your shortcuts to point to the new version. This version also has improved MBR recovery in case you accidentally trash your E2B drive (for example by accidentally installing grub2 to the MBR and the following sectors). A backup copy of the MBR is now made to the file \e2b\MBR.BIN as soon as you boot to the CSM menu. Once you restore the MBR from this file (by using BootIce or RMPrepUSB - File->Drive), you can re-install grub4dos to the MBR using RMPrepUSB and your E2B USB drive should be operational once again. It is possible to create multiple fully-installed linux installations on a single E2B USB drive by creating image partition files (.imgPTN files). We can do this by making fake 'blank' partitions on our E2B USb drive (.imgPTNfile) and then using Virtual Box with DavidV's VMUB utility to install linux onto it. Is your E2B USB drive too slow? Easy2Boot needs to enumerate all the files in and under the \_ISO\MAINMENU folder when it first boots and also needs to count the files in the \_ISO\WINDOWS folders. Some people find that, on some systems, the wait to display the E2B Main Menu is too long. I have never used it, but the offer is here. You must provide a valid email address to get the key (it takes 5 minutes or so for the email to arrive). Offer expired! Check HERE for more offers. BitDefender provide a free bootable ISO for scanning and cleaning viruses from systems (details here). This is a very useful tool to add to your E2B USB drive. Recent versions of the BitDefender AntiVirus rescue ISO use grub and support UEFI x64 booting. If 1024x768 bmp used, pressing F8 to reload menu caused screen corruption. in \_ISO\MyE2B.cfg to suppress boot-up messages, it caused payload files to not be detected and thus not added to the Menus. These issues have been fixed with a new version of \_ISO\e2b\grub\menu.lst. This version has the latest version of grub4dos 0.4.6a 2015-08-07. Yaya appears to have fixed the .jpg display problem so that we can use standard 95% quality .jpg files (e.g. as created by MSPaint) as background images. The latest version of E2B_Editor will allow you to load .jpg files as a wallpaper as well as .bmp files. If you want to convert your \_ISO\MyBackground.bmp file to a smaller .jpg file, just load and save it using MSPaint (but keep the filename+extension the same - i.e. MyBackground.bmp or MyBackground.bmp.gz). P.S. Progressive jpg's, as used by some websites, contain both low-res and hi-res images and are not supported. If you re-save them using MSPaint then they should work OK with E2B/grub4dos. Is your heatsink correctly seated onto your CPU? Is the cooling system up to the job? How would you check that it is correctly fitted and is working correctly? Many people fall into the trap of measuring the CPU temperature to check that their heatsink and heatsink fan are working correctly. There are many software utilities that will check the internal CPU temperature, such as CPU-Z or RealTemp. For Intel CPUs there is also the Intel Extreme Tuning Utility but this needs to be installed (.Net and drivers) and the system must be restarted. Intel Extreme Tuning will run a stress test and show you if thermal throttling is occurring (in my case this happened once 100 deg C was reached). 1.72h has the latest grub4dos 0.4.6a version which includes support for .jpg wallpaper files, right-aligned menu support and the new setmenu command. If you want to try using a .jpg file for a background wallpaper, make sure you save it using 100% Best Quality setting or the picture will display with defects (fixed in 1.72BetaK)! You can download Windows 10 'Retail' install ISOs from Microsoft and install them using Easy2Boot. See also this blog post for direct download of many MS ISOs. 1. First go to the MS page and download and run the Download Tool (choose the 32-bit or 64-bit MediaCreationTool.exe, depending on what version of Windows you are currently running). If you have your E2B USB drive working nicely and you want to make other bootable E2B USB drives from it, then you can use the MAKE_E2B_USB_DRIVE (run as admin).cmd script. Why can't I boot Easy2Boot on some old systems? If you use Easy2Boot on a wide range of different and older systems, you may find that some of them won't boot, even though they look like they should support USB-booting. This problem is usually caused by the BIOS on the system. The free version of WinToUSB can quickly install a full version of Windows from a Windows Install ISO onto a USB drive. We can use it to make a Win7ToGo .imgPTN or .VHD file on our E2B USB drive (or Win8 or Win10). You can have as many different WindowsToGo files on your E2B USB drive as you like! Here are the steps, in outline, for an MBR-bootable version of Win7ToGo (but also works for Win8 and 10). You can use VBox+VMUB instead of a real system for booting Windows, if you prefer. The latest Beta of E2B has a few tweaks to cope with the latest changes in grub4dos 0.4.6a. E2B v1.72BetaG does NOT contain this latest version of grub4dos. If you are looking for ready-made WinPE ISOs (with UEFI-boot support too), check out the Gandalf's WinPE builds of WinPESE8.1 (Google for 'Gandalf WinPE'). Win8.1U1SE_x86 updateable (UEFI+MBR bootable) - This PE had external Portable Apps and Programs folder, allowing you to add more programs. The dual-PE ISO has an external Portable Apps folder, so you could add more apps into it. Many people have asked me 'how can I boot to E2B and select a UEFI payload, if I only have one UEFI-only system'? This blog post attempts to describe a solution. New! SWITCH_E2B.exe is a Windows utility that allows you to switch .imgPTN images without booting in MBR-mode. I have added the 32-bit Clover files to the MPI Tool Pack so if your payload .imgPTN file has 32-bit UEFI boot files, you can UEFI-boot from the CSM menu. A system with a 64-bit CPU will list both Clover 32-bit and 64-bit boot entries. A system with a 32-bit CPU will list only the Clover 32-bit boot entry. This ICY does have screws but you can just use the rubber sheath to hold it together - this allows for quick changing of drives without having to fiddle with tiny screws and find a tiny screwdriver! However, when I fitted an SSD drive into it, I was only getting sequential rd/wr speeds of 150-200MB/s. WinPE-Yol.iso (Google for it!) and Dium_2.0.iso are two French WinPE ISO's built using WinBuilder (ChrisR's Win8PESE project here). Note: E2B v1.90 and later now include automatic support for MediCat and other WinBuilder-based PE ISOs. See here for more details. I came across a reference to Boot-Repair-Disk a few days ago which was something new to me. It includes gparted and FireFox, and is very quick to boot too. Here is THE Rescue Disk that you should keep close to your computer ! also contains the OS-Uninstaller and Boot-Info tools. Partition Guru Pro giveaway - hurry! Free offer for this s/w worth $80. 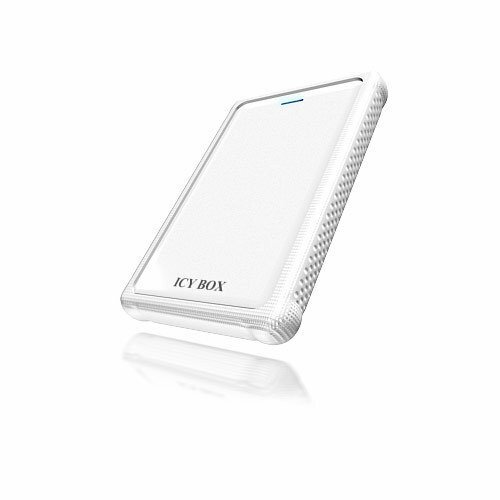 Useful for partition/data recovery, etc. See here for extra features that you get with the Pro version. Right-Click on a file to show a cluster list and see if it is contiguous. As soon as you install, Register it quickly before the offer expires (you do not have to use your real email address if you prefer not to!). E2B v1.72e has a \_ISO\e2b\grub\ARABIC language folder. It only has a few menu headings and menu entries translated to Arabic (using Google translate!) and they are probably all wrong! If you wish to correct them, the instructions on how to edit the files are in the \_ISO\e2b\grub\ARABIC\ReadMe.txt file. The 'source' UTF-8 files that you need to edit are the STRINGS_ARABIC.txt and F1_ARABIC.cfg files. You need to edit these and then convert them using Fribidi to a STRINGS.txt and F1.cfg file (use the Reverse.cmd file provided - just drag-and-drop a 'Arabic' file onto the Reverse.cmd file). I have had enquiries from two different people in the same day about how to set a timeout to auto-run an entry in a sub-menu! You can set a menu default (and optional timeout value) for each standard E2B sub-menu folder by using a .mnu file. I have added yet another page to the E2B site here to describe the various options. E2B 1.72BetaB with support for Arabic, Hebrew, Urdu, etc. BetaC fixes Windows sub-menus not being right-justified + few other small niggles. I have added a similar function to the ENUMWAIT function which pauses the list of payload files just before the menu is displayed. Now, you can press the SPACEBAR during file enumeration of any menu and it will pause at the end of enumeration (without ENUMWAIT needing to be set in MyE2B.cfg). You can now easily see the order that files and folders are enumerated in, and thus the order that they will appear in the menu. Typo\bugfix for PTN2_Menu.mnu and renamed. Make_this_drive_contiguous.cmd will now run on any drive it is on (if \_ISO\docs\WINCONTIG folder is also present on the drive), so can use it on another partition on an E2B USB HDD drive by copying it to the other partition. XP Step 2 bugfix - if installing XP to 2nd HDD it would not boot correctly. Payload enumeration now displays source directory correctly when listing payload files. 'set ENUMWAIT=1' in MyE2B.cfg will cause file enumeration to pause before displaying the menu - useful to see what order files are enumerated in for menu order. MAKE_E2B_USB_DRIVE.cmd tells user if disk is Fixed or Removable type and warns if Fixed that they will need a 'Helper' USB drive for Windows installs. Please note: I recommend using VBox+VMUB rather than a real system to perform the installation onto the E2B USB drive because it will be safer (and Mint seems to have a problem if a hard disk is present in the system!). I recommend you follow this method which is much easier and simpler than the method below. This method allows you to boot to any number of 'fully installed' linux OS's from the one E2B USB drive (i.e. linux will keep all changes and updates, etc. as it is not running from the ISO or a filesystem in memory but is fully installed onto the USB drive). I used Mint but many other linux installers should work - e.g. manjaro. WARNING: You should only attempt this if you are familiar with .imgPTN files and installing linux. If you choose the wrong linux install options you could destroy the contents of your E2B drive! If you are not using a Virtual Machine, you could destroy the contents of your system disks too! In this process we will add a Linux Install .imgPTN file (or LiveCD+Install .imgPTN file) to your E2B USB drive and then install that version of linux to a new 'virtual' partition on the same drive. We do not need to re-partition the E2B USB drive. Once you install linux, the MINT OS file should not be copied or moved, because it contains boot parameters that are specific to the file's position on the E2B USB drive. WinContig will not change it's position (but a defrag would). This issue can be solved however, by using a bespoke menu entry (see bottom of page for details). We cannot have a Swap partition in this install. Linux is installed onto a single partition only but see the bottom of this post for a workaround. 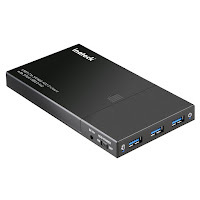 I used a linux Mint 17 Mate 32-bit ISO and an E2B USB HDD, but the process should work for many linux installers as long as they will install to just a single ext2/3/4 partition. I have made a new mnu file for Desinfect 2015 with persistent updates. Making the .mnu was simple, but I just couldn't get the updates to work. I could copy them from the 'master' flash drive partition to the ext2 filesystem on the E2B drive, but when I booted to Desinfect 2015 from the Easy2Boot drive, Desinfect always complained that the signatures were outdated and refused to use them or update them (updates went to RAM not the USB drive)! spot the difference!!! linux is sooooo user friendly (not)! The important file that was not copied was the empty file .desinfect2015, which explains why Desinfect 2015 thought the signatures folder was not the correct one! The amended instructions for 2014 and 2015 are in the updated old blog post here. I actually installed ext2fsd on my Win8.1 64-bit Windows system so that I could look at the contents of the Desinfect 2015 'master' flash drive more easily. Because, I was using a Removable flash drive, I had to use RMPrepUSB - Ctrl-O to move the type 83 ext4 signatures partition (#3) to the first position in the partition table. Once that was done, the ext4 signatures partition was available to me in Windows Explorer and I then noticed the .desinfect2015 hidden file! I could have used ls -a under Linux to see the hidden files also. Some linux install ISOs, such as debian-based ISOs, will boot to a Live OS fine using Easy2Boot straight from the .ISO file. However, if you want to install linux from the ISO, some linux installers specifically look for a CD-ROM drive rather than looking for the installation source files, or they do not automatically mount the 4th partition, which E2B has mapped to the ISO file by grub4dos, and so the installer cannot find the source files. Often, however, there is a simple solution. When installing linux onto another device, you just need to specify the source device. E2B changes partition #4 so that it points to the ISO file that we are booting from. So we just need to specify that partition as the 'cdrom'! Here is an example using debian-8.1.0-i386-CD-1.ISO. You can easily password protect normal, standard menu entries in a variety of ways on an E2B USB multiboot drive (e.g. just add 'pwd' to the end of the file extension - Ubuntu.isopwd). But recently a user wanted to protect certain specific Win7/8 Install ISOs with specific passwords, so I have added a few examples of ways to do this to the 'E2B Security' page on the E2B website. If the password is wrong, they will be returned to the Windows Install menu. Note: this 'bunny' wallpaper is my current menu wallpaper - don't ask me why! I recently read an interesting post from the 'Life of MDW' blog here, which was about why you should NOT call a notebook a 'laptop'. When I worked at RM (which sold computers to schools), we always called them notebooks, however, despite this, the teachers always called them laptops! Note: The most common causes of notebook damage were: 1) picking a notebook up by holding the screen and gripping the display too tightly and cracking it, 2) notebook falling off a chair\sofa\lap whilst on, 3) sitting on it when in a bag (often damage was caused by the UK three-pronged mains plug pressing into the screen lid). The August 2014 version of JustBrowsing allows you to save the browser settings in a config file. The file must be saved on a mounted volume which has a volume name of JUSTDATA. Here is the .mnu file for Easy2Boot which allows you to have these settings persistent on each boot. if "%E2BDEV%"=="" set E2BDEV=hd0 && pause E2BDEV forced to hd0! I will add the final version of this to next Beta release.